Simple block in teack or varnished ash available for rope from 10 to 14 mm. The sheave is on brass and the binding in stainless stell. 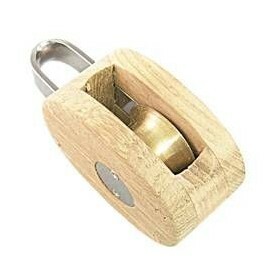 These wooden blocks represent a good value for money in yachting range. Simple block in teack or varnished Ashwood with becket for ropes from 10 up to 14 mm. 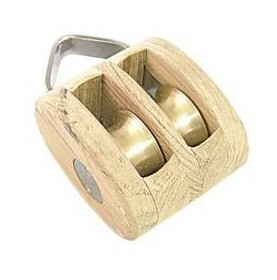 Sheave in brass and binding in stainless stell. Double block in teack or varnished ash for ropse from 10 up to 14 mm. 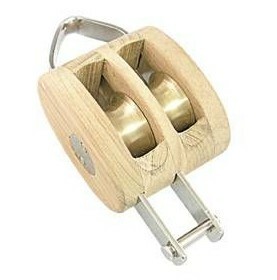 Sheave in brass and binding in stainless stell. Double block in teack or varnished ash for ropes from 10 up to 14 mm. 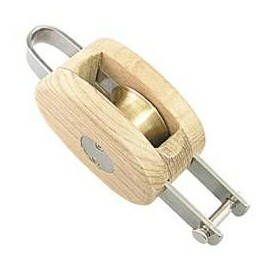 Sheave is brass and binding in stainless stell.